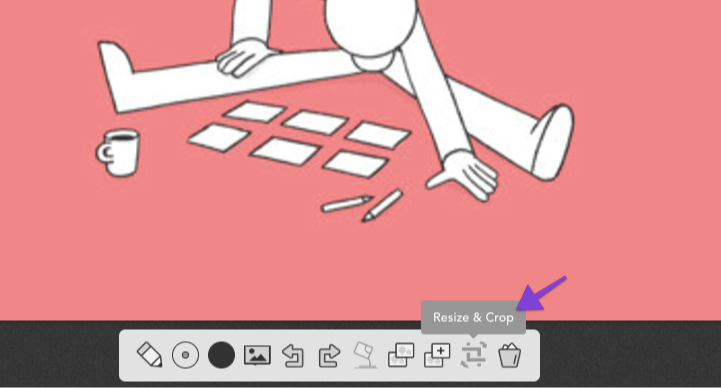 After you upload an image (or draw one with the drawing tool) you can edit it with the Resize & Crop tool. 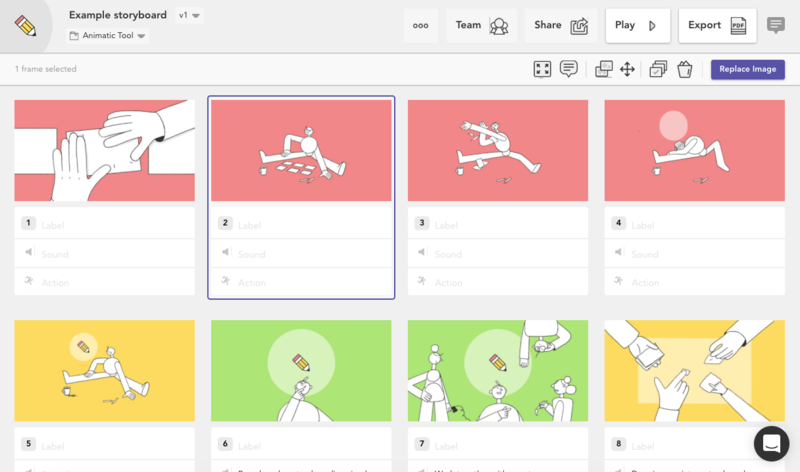 First, open the Image Editor by double-clicking the frame you'd like to work on. In the Image Editor, choose Resize & Crop. 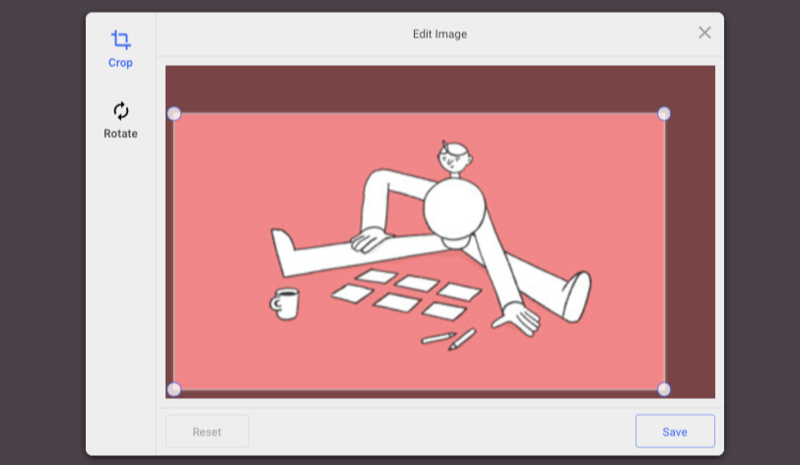 This will bring up a window, which will give you option to crop or rotate your frame.